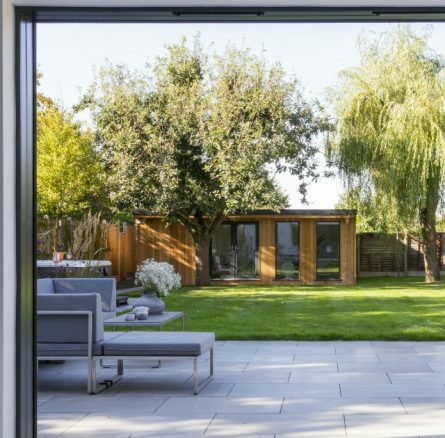 A newly extended property that required a revamp of the existing raised patio. 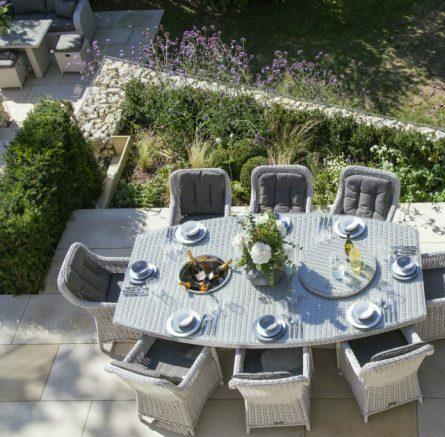 We built this beautiful two-tier terrace on a reinforced concrete raft. This ensured that the whole terrace stays in one section and prevents cracking. 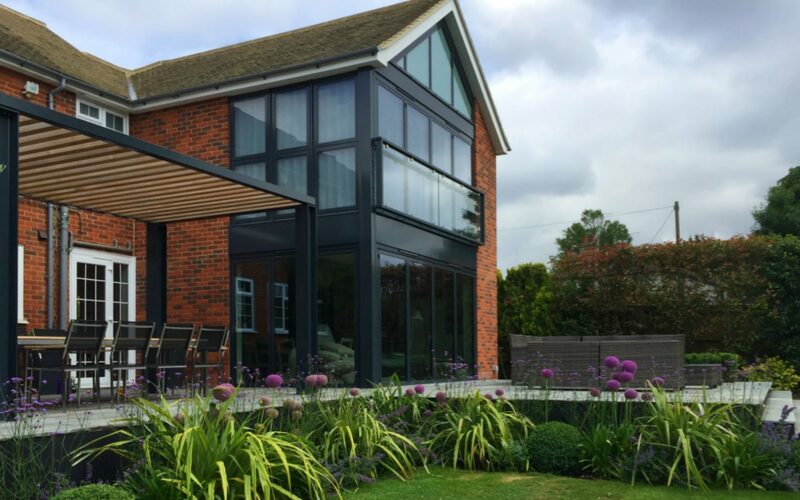 Using the architecture of the extension we were able to design and build a bespoke steel framed pergola which we had galvanised and powder coated in the same RAL colour grey as the extension. 100mm x 100mm cedar was used as the cross beams. 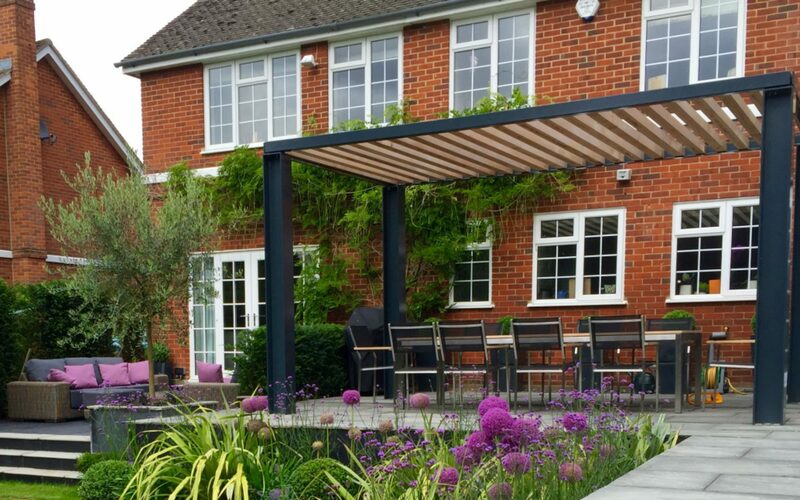 To highlight the fine lines of the pergola at night, each upright was uplifted with stainless steel flat patio lights. 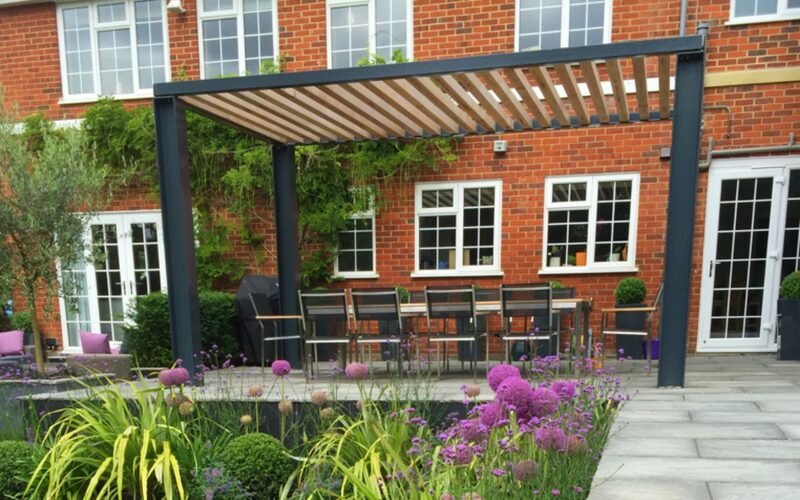 The planters were also made to the same RAL colour grey unifying all the hard elements. All steps were bull-nosed to add another detail in the design and soften the hard edges. 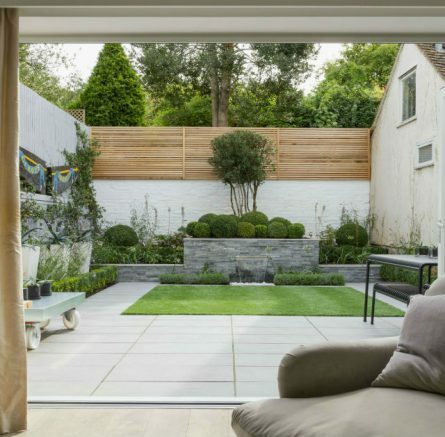 Black limestone was used to create a contrast in the lower courtyard area which now have sofas placed here. A mature Yew hedge was planted to screen the area on both sides. 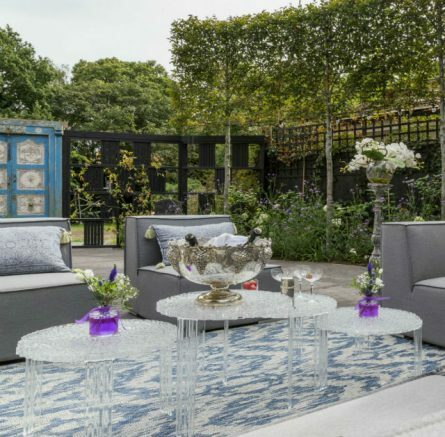 To continue the grey theme Olives and Astelias were planted with under planting of Othiopogon Nigrescens and seasonal Allium giganteum, and purple Tulips. The highly versatile Verbeana Bonariensis was used to create height at the back of the border and give an obvious edge to the higher paving.